Announcing publication of a World Seagrass Association special journal issue: Securing a future for seagrass, edited by Mike van Keulen, Lina Mtwana Nordlund and Leanne C. Cullen-Unsworth in Marine Pollution Bulletin Volume 134, p 1-232 (September 2018). The editorial, Towards recognition of seagrasses, and their sustainable management is freely available from the journal website. 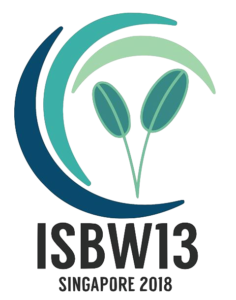 We are currently inviting Expressions of Interest (EOI) for a Special Issue of Marine and Freshwater Research — inspired by the number of high quality presentations at the recent World Seagrass Conference and ISBW13, that was held in Singapore in June 2018. 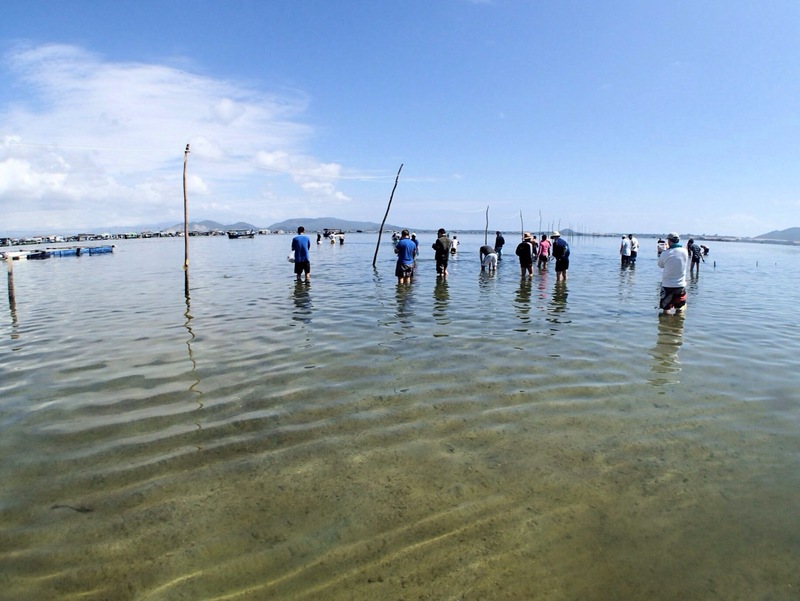 The theme of the issue follows the conference theme: Translating Seagrass Science into Action—and seek manuscripts that emphasize the applicability of scientific research to advance evidence and science-based solutions, management practices and policies for the conservation of seagrass meadows globally. 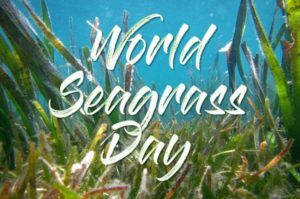 After launching the World #Seagrass Day petition this morning we already have more 20 signatories, before the end of @ISBW2018 and #WSC2018 we should have at least ten times more than that. Please lend your support and reach out to your networks. 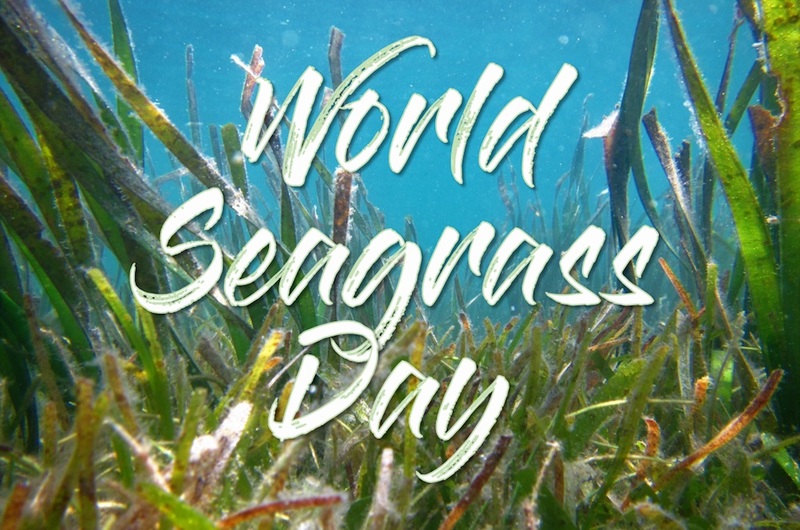 Learn about the global campaign for World Seagrass Day now. A very Happy 2015 to all our readers. To kick off the new year, we bring you a new segment of notes from the field, this time from the USA, where Amy Uhrin writes about the research work going on in the eelgrass beds of Beaufort, North Carolina. Amy is a Research Ecologist with the National Oceanic and Atmospheric Administration (NOAA). Her research focuses on the influence of natural physical disturbances (e.g., hurricanes, wind waves, tidal currents) and human-influenced disturbances (e.g., vessel groundings, fishing gear) on seagrass seascapes and how seagrass spatial configuration may serve as an indicator of system vulnerability and resilience. Amy is also a PhD candidate in the Ecosystem and Landscape Ecology Lab of Dr. Monica Turner at the University of Wisconsin-Madison. 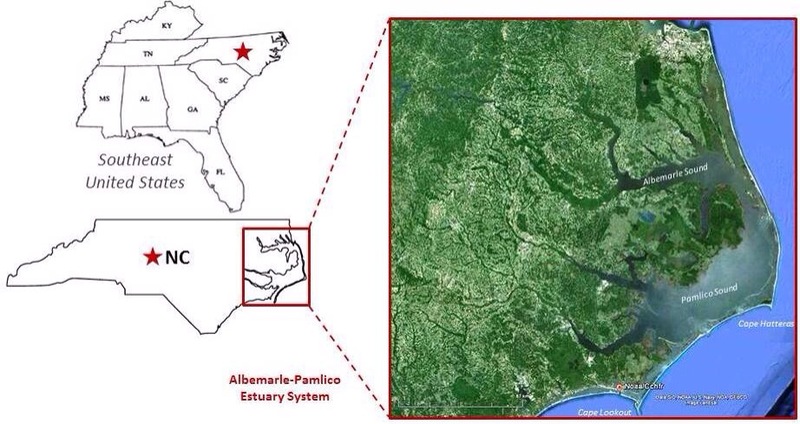 The Albemarle-Pamlico Sound Estuary System in North Carolina is the second largest estuary in the United States. The Albemarle-Pamlico Sound Estuary System is a coastal lagoon bordered on the east and south by a chain of barrier islands (Outer Banks). Broad shallows, less than 2-meters deep at mean lower low water, are punctuated by relatively few deeper basins and channels. Seagrass beds along this portion of the North Carolina coast cover ~7000 hectares in a nearly continuous, ~1 km swath behind the extensive barrier island system. Figure 1 – The location of the Albemarle-Pamlico Sound Estuary System relative to the State of North Carolina and the southeastern United States. The beds are dominated by a mixture of two species, Zostera marina (eelgrass) and Halodule wrightii (shoalgrass), with seasonally abundant Ruppia maritima (widgeongrass) in quiescent areas. This region represents the southern geographic limit of Z. marina and the northern geographic limit of H. wrightii on the east coast of North America and is the only known overlapping acreage of these two species in the world. H. wrightii has higher tolerances to fluctuations in light and water temperature than Z. marina, and so it has been suggested that the Albemarle-Pamlico Sound Estuary System could revert to a Halodule-dominated system over time as a result of climate change (i.e., increasing water temperature and sea level rise). Therefore, we have embarked on a field study to evaluate changes in the seagrass community (shoot density, biomass, species composition) over the last 20+ years. 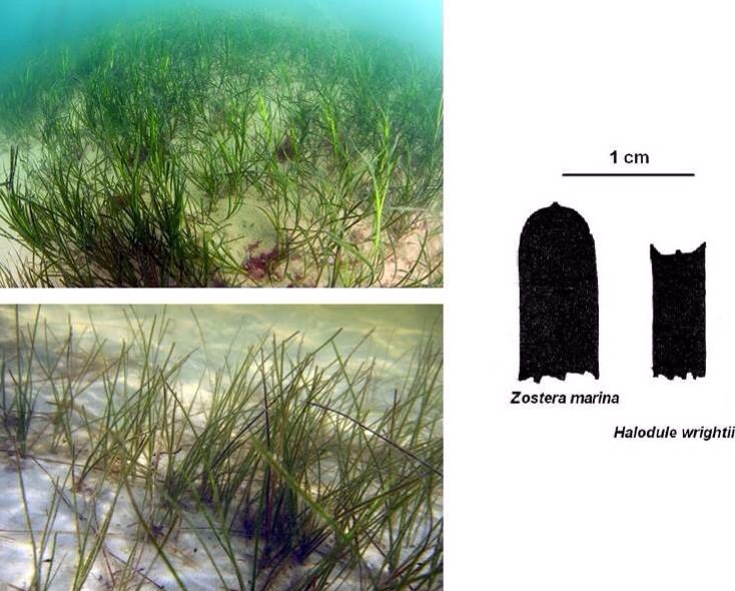 Figure 2 – Zostera marina (top) and Halodule wrightii (bottom). Visually, the two species appear very similar (strap-like blades) but are easily distinguished by their differing blades tips, blade widths, and rhizome structures. 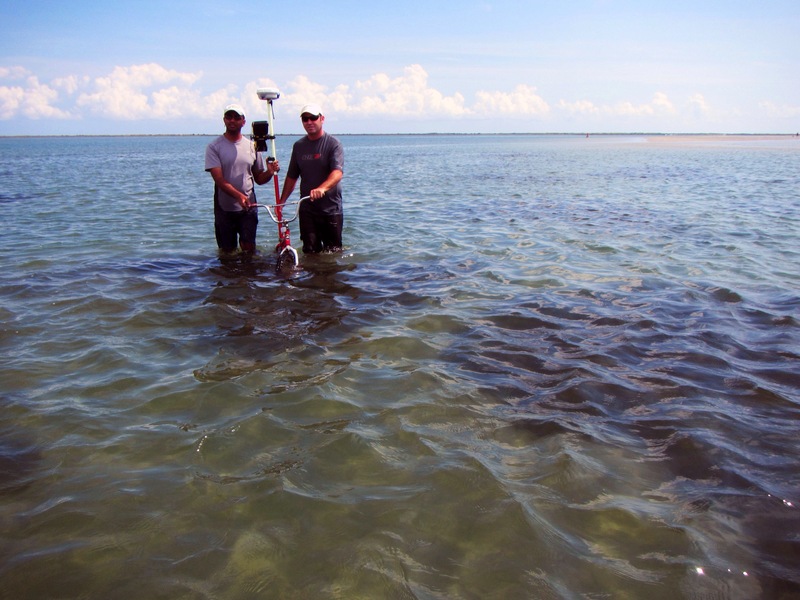 The field study involves sampling at 10 historic study sites which were thoroughly evaluated in 1992 by staff here at NOAA’s Center for Coastal Fisheries and Habitat Research (CCFHR) in Beaufort, North Carolina. The 10 sites exist along an increasing gradient of tidal current speed and wind-wave exposure which results in seagrass seascapes ranging from continuous meadows (extending tens of kilometers) to aggregations of patchy mounds (less than a meter across). 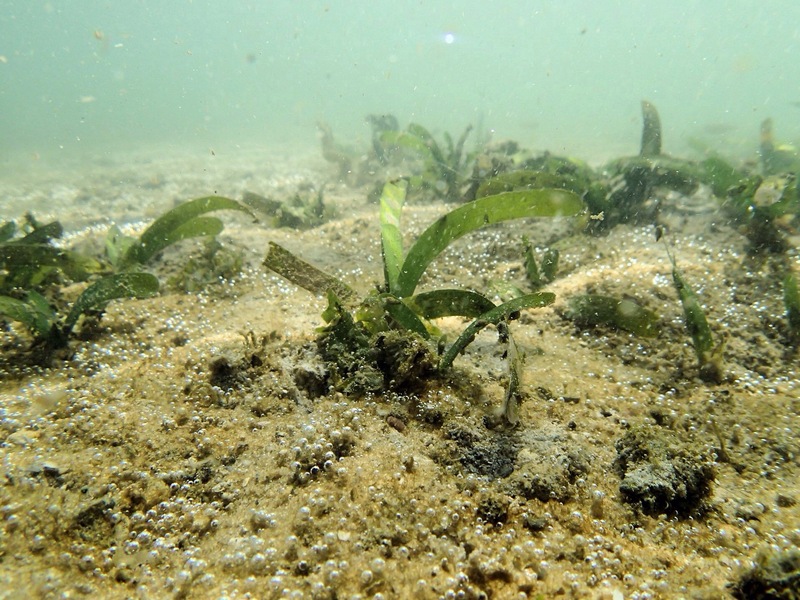 Figure 3 – Seagrass seascapes in coastal North Carolina range from continuous meadows to patchy seagrass as a result of increasing hydrodynamic stress. The project was initiated in 2013. This past spring and summer we collected our second set of field data. Because the two seagrass species achieve peak biomass at different times of the year, we must sample in late May to early June for Z. marina and again in late August to early September for H. wrightii. The patchy sites are mapped by physically tracing the perimeters of all seagrass patches located within a 50 x 100 meter area using a handheld GPS unit. Figure 4 – Here, lead PI Amy Uhrin traces the perimeter of a seagrass patch using a handheld GPS unit. We also conducted elevation surveys at patchy sites using Real Time Kinematic (RTK) GPS. The elevation surveys require that an off-site GPS base receiver station is established within 5 kilometers of the study site in conjunction with an existing local reference benchmark (a geographic point whose coordinates and/or elevation has been measured and recorded to a high level of accuracy). The benchmark is linked to a local tidal datum using NGS VDatum utility. The local tidal datum is then used as a reference to measure local water levels. The GPS errors calculated at the reference base station are radio broadcast to the GPS rover receiver being used at the study site. The rover receiver also collects its own set of coordinates which are then corrected on the fly relative to the reference benchmark. After post-processing, this results in a submerged, topographic map of the seagrass patches with centimeter-level vertical accuracy. Figure 5 – CCFHR staff Amit Malhotra and Don Field install the off-site base station and radio antenna (left). The base station antenna is positioned directly over the existing GPS benchmark (middle). The final antenna arrangement is shown in the photo at the right. A key limitation of conducting surveys via RTK GPS is that the antenna for the rover receiver must be in contact with the surface of the substrate at all times because coordinates are collected continuously at one-second intervals. For our surveys, we adopted an innovative technique that developed at our lab for use in salt marsh elevation surveys where the GPS antenna for the rover receiver is mounted to a bicycle that is manually maneuvered by hand across the study site following a grid pattern to ensure far-reaching coverage of data points. Figure 6 – CCFHR staff Amit Malhotra and Troy Rezek maneuver the bicycle with attached antenna across seagrass patches at one of our study sites. In addition to mapping, we performed Braun-Blanquet estimates of percent cover and extract core samples for measuring shoot density, leaf lengths, and above- and belowground biomass and for determination of species composition at all sites. Water depth is variable at the sites which can create a sampling challenge. Although it is easier to extract cores in shallow water, estimating percent cover is not as easy when plants are exposed! In deeper water, we use a lot of breath holding to extract cores! 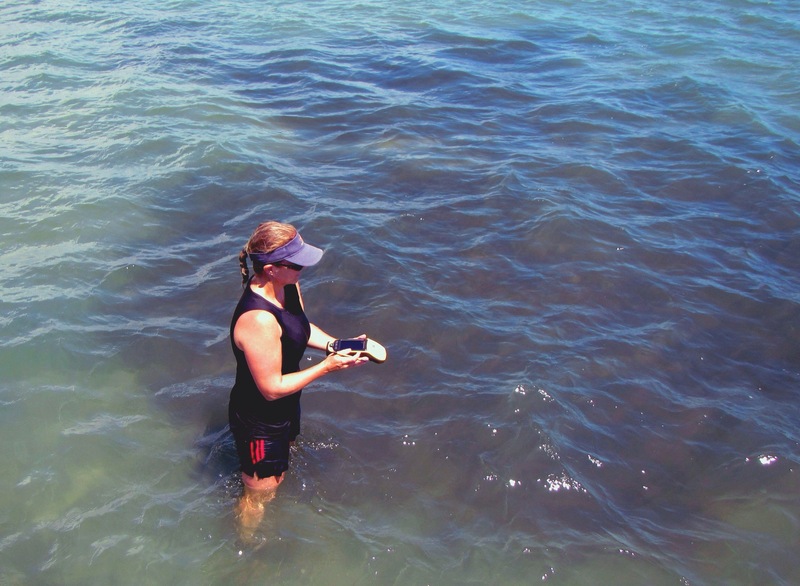 Figure 7 – Amy and Troy extract a seagrass core sample at a shallow water site (left). Core extraction is not as easy in deeper water when a mask and snorkel must be used as demonstrated by CCFHR staff Walt Rogers (middle). Don had a difficult time estimating percent cover at this particular site where the seagrass was emergent at low tide (right). We were fortunate enough to have aerial imagery overflights by the North Carolina Department of Transportation take place during our 2013 sampling with coverage of all study sites. This imagery will be classified for seagrass using a semi-automated technique developed at our lab. The classified layers will be used to quantify differences in seagrass spatial patterns across hydrodynamic gradients and is an additional component of our research in the Albemarle-Pamlico Estuary System that seeks to quantify differences in seagrass spatial patterns across hydrodynamic gradients, identify thresholds in hydrodynamic drivers of seagrass spatial pattern, and examine how seagrass spatial pattern influences ecological resilience in the face of climate change, namely increasing severity and frequency of hurricanes. Figure 8 – A panoramic view of one of our sites located at Middle Marsh North. This site experiences intermediate levels of tidal currents and wind-wave exposure which results in a seagrass seascape of elongated patches. 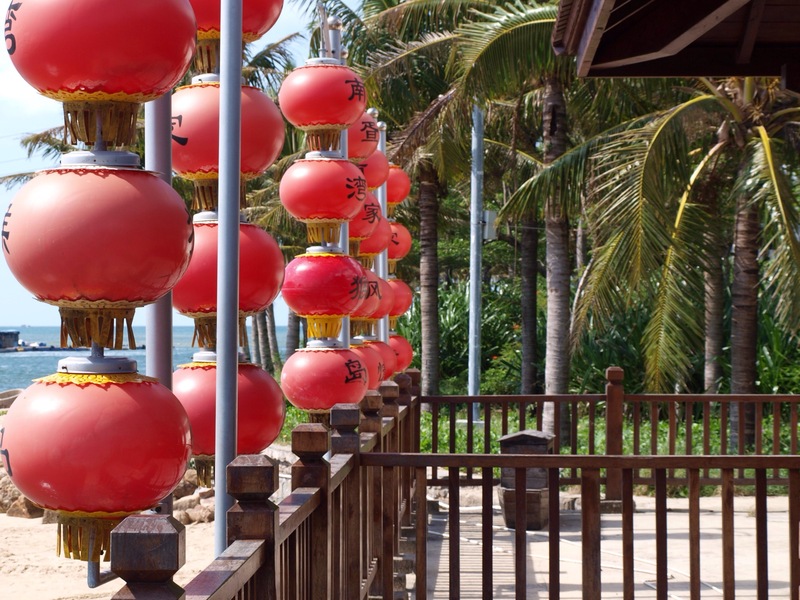 Mike van Keulen shares his thoughts about the field visit we had to Xincun Bay. As part of the ISBW11 activities, we were privileged to visit the Special Seagrass Protection Area in Xincun Bay near the Workshop location on Hainan Island. The bus ride to the site provided an interesting glimpse of the countryside near Sanya, with extensive areas of agricultural land. The bus trip was made more interesting by the disconcerting high temperature alarm that sounded throughout much of the trip; however both buses completed the journey successfully and the alarm was dispelled from our minds. Disembarking, we then boarded a small ferry for the short journey across Lian Port, bustling with commercial vessels and houseboats to Nanwan Monkey Island (no monkeys were observed in the making of this blog). A short walk through the forest brought us to the shores of the Bay. 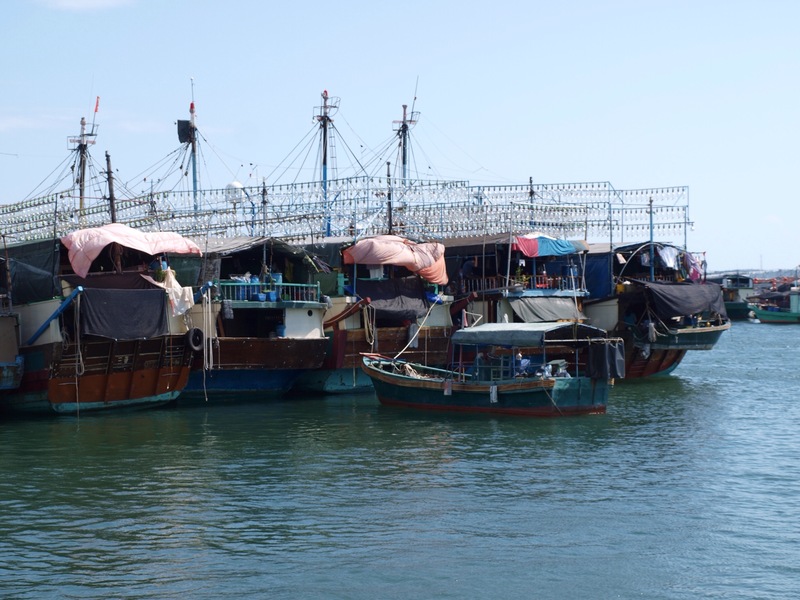 The huge number of houseboats and aquaculture facilities was immediately striking as we emerged onto the beach. 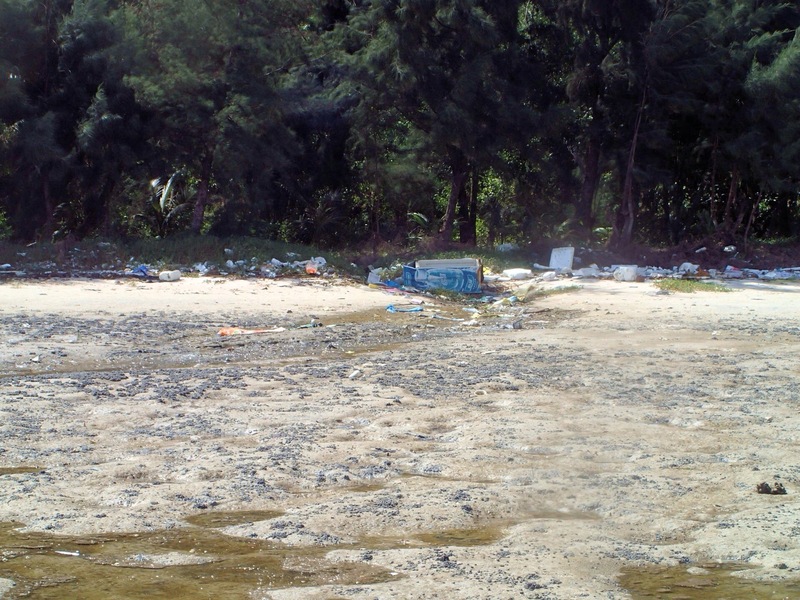 The Bay is semi-enclosed, with a relatively small opening to the open sea, which resulted in large amounts of rubbish accumulating in the shallows and on the beaches. Not far from shore were many structures used in aquaculture and fish handling, as well as houseboats and other vessels. Clam harvesting from the intertidal using rakes was also in evidence, resulting in a very disturbed intertidal shoreline. 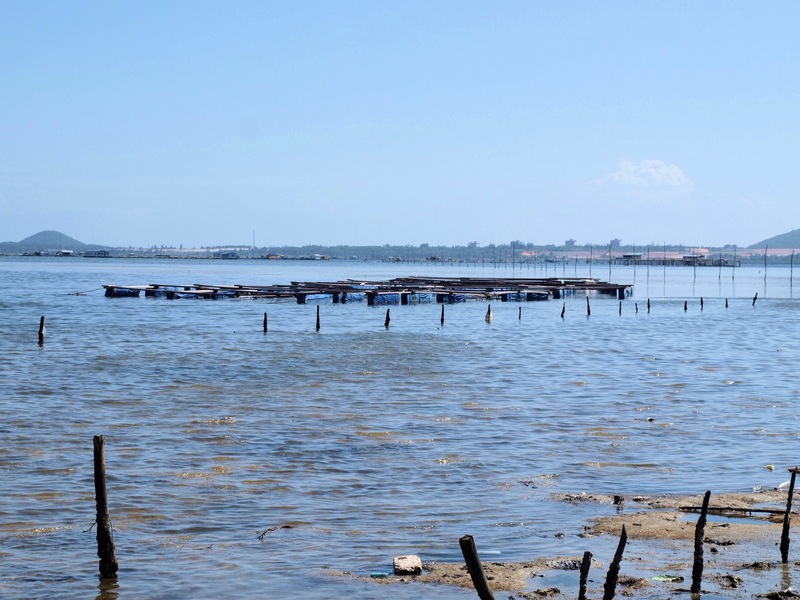 The pollution from the densely populated waterway and the aquaculture activities was very evident, with very turbid waters inshore and a high amount of particulate matter in the water column. The fine particulate matter was easily resuspended and doubtless compromises the light regime for the benthic plants. 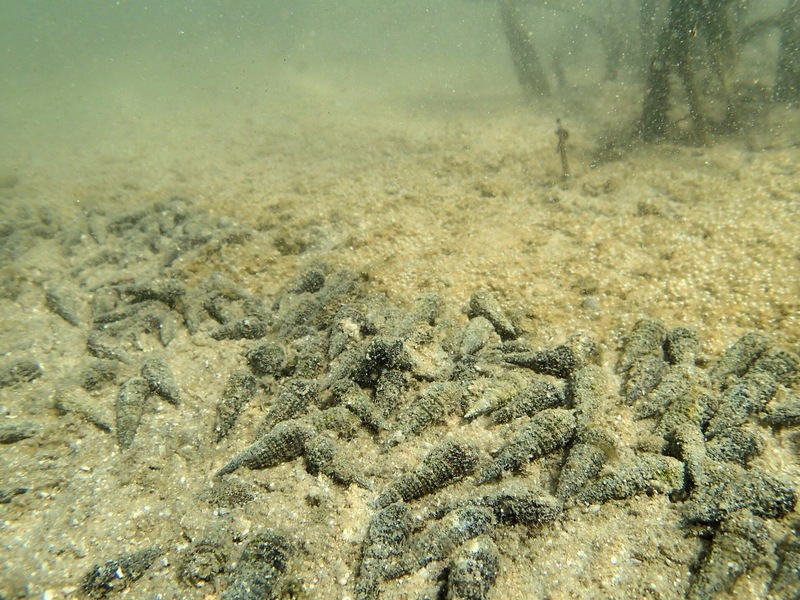 Nonetheless, there was significant seagrass growth in the shallow inshore waters, with an extensive meadow of Enhalus acoroides and Thalassia hemprichii. The smaller Halophila species (H. ovalis and H. beccarii) were reported to occur further along the shore near the mangroves; however we didn’t make it that far. After a little hesitation, the seagrass enthusiasts ventured out into the shallows, inspecting the seagrasses growing only a few tens of metres from the shore. 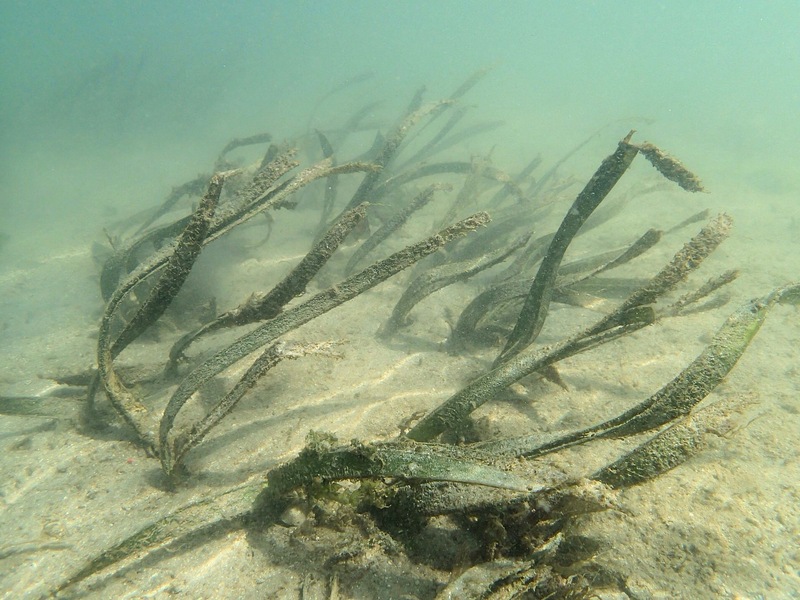 While the high nutrient levels in the water resulted in very turbid water conditions and high quantities of epiphytic and benthic macroalgal growth, particularly of Ulva, the seagrasses appeared reasonably healthy. 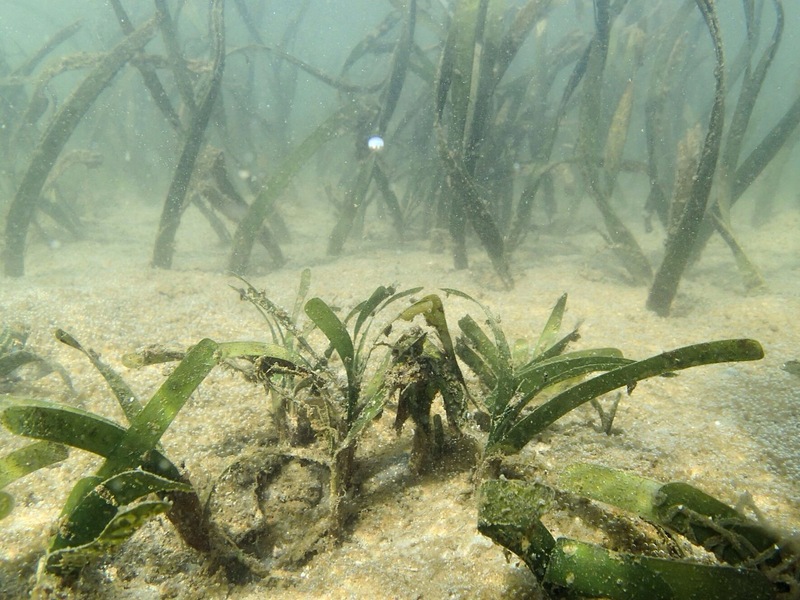 In between the clumps of seagrasses were actively photosynthesizing benthic algal mats that were being grazed by gastropod snails, resulting in sandy patches on the seabed. Following our wander through the seagrass meadows on Xincun Bay we reboarded the ferry to return to the mainland. 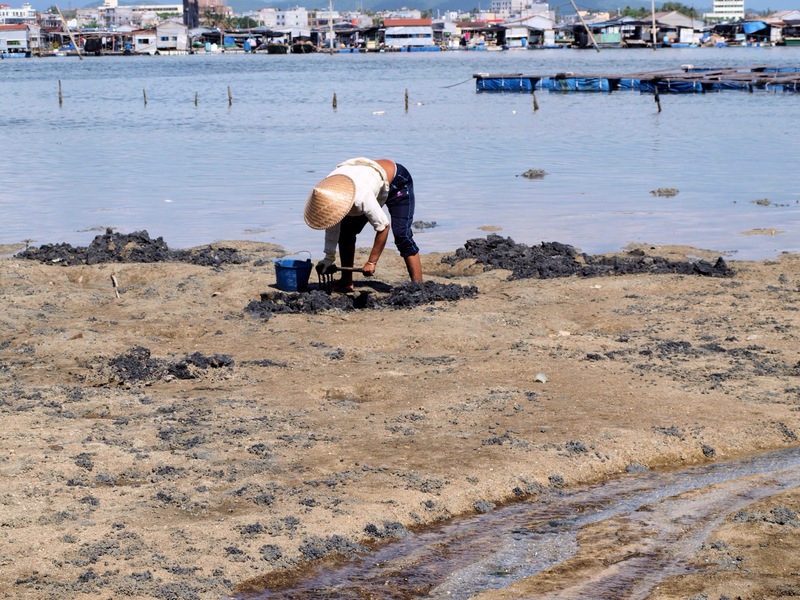 The field trip provided a great opportunity to see the local seagrasses and provided a remarkable insight into the issues facing some of the seagrass meadows in southern China. Back on the mainland a filling lunch was provided, that included a diverse and delicious variety of traditional Hainanese dishes, sustaining us for our return trip to Sanya. The bus ride provided an opportunity for some to snooze while others had plenty to discuss about the seagrass ecosystem we had just witnessed. For many it was a great opportunity to chat to new friends or catch up with friends from previous ISBW meetings.